Super Bowl Halftime Show headliners Maroon 5 are helping to donate $500,000 to charity in partnership with bosses at America's National Football League. The rockers have faced a barrage of criticism for signing on for the high-profile gig instead of passing on the opportunity to protest NFL chiefs' treatment of quarterback Colin Kaepernick, whose career has been derailed following his decision to kneel during the pre-game U.S. national anthem to highlight racial injustice and police brutality. He has remained unsigned ever since his San Francisco 49ers contract came to an end in 2017. Rihanna, who was reportedly the NFL's first choice for the 2019 headliner, is said to have rejected the deal to show her support for Kaepernick, while Maroon 5's Girls Like You collaborator Cardi B recently revealed she had turned down the chance to join the band onstage at the Mercedes-Benz Stadium in Atlanta, Georgia on Sunday (03Feb19) to stand in solidarity with the athlete too. The group subsequently recruited rappers Travis Scott and Big Boi as its special guests for the Super Bowl, although the Sicko Mode star announced he only agreed to perform if NFL officials agreed to join him in donating $500,000 to a cause promoting social justice. Now Maroon 5 have followed Travis' lead and, together with executives at the NFL and their label Interscope Records, have pledged the same amount to the Big Brothers Big Sisters of America, which provides mentorship for disadvantaged kids. "Playing the Super Bowl has been a dream of our band for a long time," frontman Adam Levine tells People.com in a statement. "We thank the NFL for the opportunity and also to them, along with Interscope Records, for making this donation to Big Brothers Big Sisters, which will have a major impact for children across the country." Travis had his NFL donation sent to the Dream Corps non-profit organization earlier this month. The charity cheques were cut as part of the NFL's #InspireChange social justice initiative, in an effort to help create positive social changes for youths across the nation. 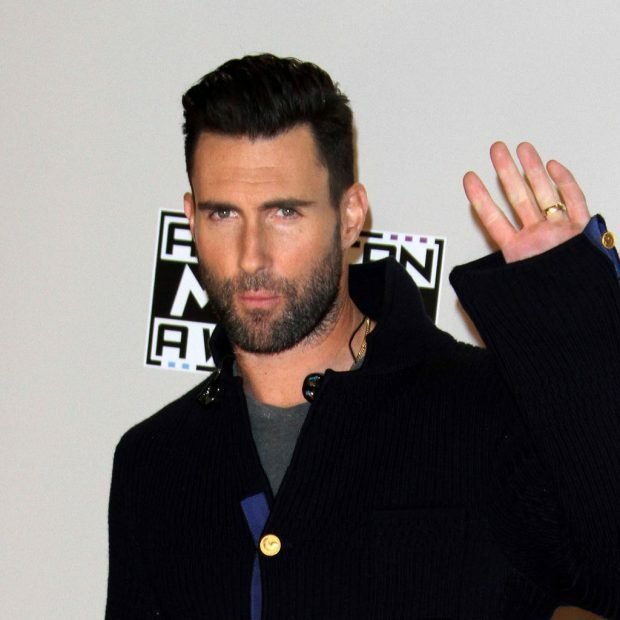 Maroon 5, Travis, and Big Boi will entertain audiences at halftime on Sunday, when the New England Patriots will face off with the Los Angeles Rams for the Super Bowl trophy. Justin Timberlake headlined last year's festivities.